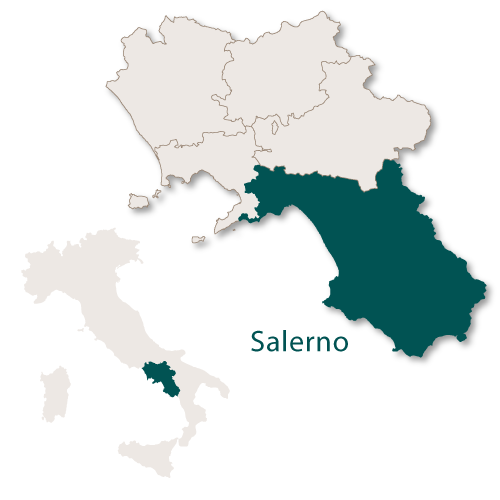 The province of Salerno has an area of 4,923 km.sq and borders the provinces of Naples and Avellino to the north, the region of Basilicata to the east and the sea to the west. 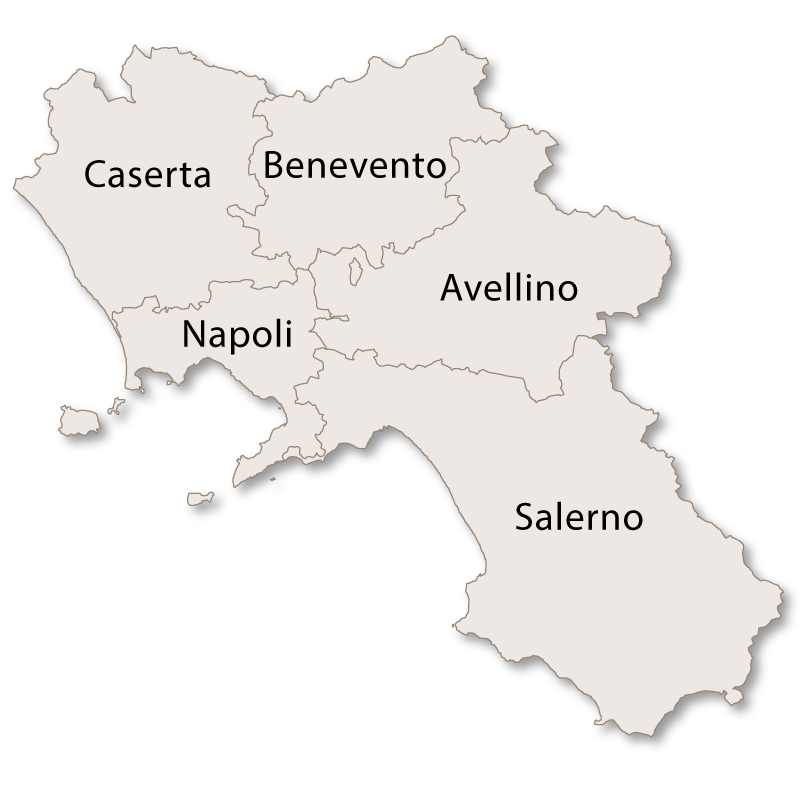 Inland this province is green, rugged and natural with mountains, hills, sweeping plains and a collection of some of the most beautiful villages in the south of Italy. 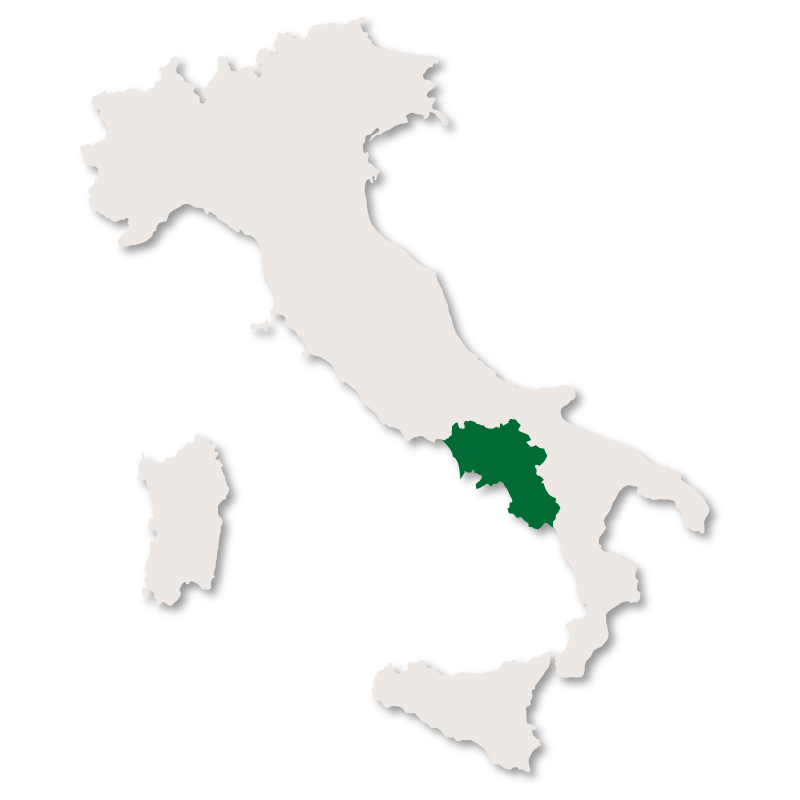 The Cilento Natural Park runs through this province and the natural beauty of this area will take your breath away. Verdant green hills and plains with forests of oak, chestnut, beech and ash trees form a haven for flora and fauna. In the Vallo di Diano Wild orchids, some very rare, grow in abundance and it is possible to book a trip to see them growing naturally and of course to photograph them if you wish. 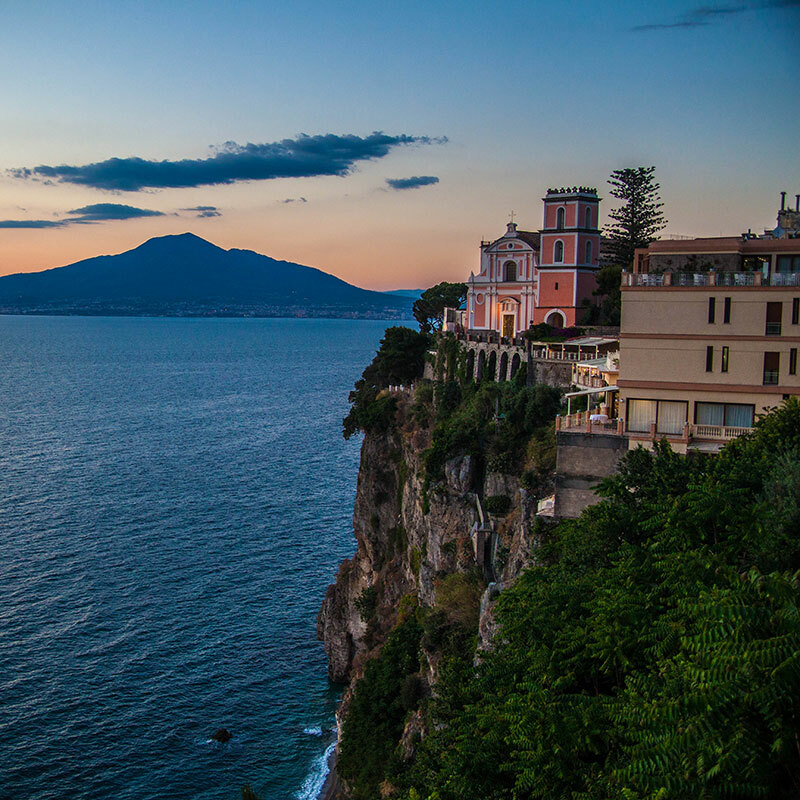 If anything, the coastline is even more beautiful than the interior with white sand, azure sea, small bays and coves, cliffs with historic towns clinging to their sides and of course, the world famous Amalfi coast which belongs to this province. Agropoli This seaside town lies at the beginning of the Cilento Coast and has a large yacht harbour, mainly for pleasure craft. There is an Angevin-Arogonese castle which stands at the highest point of the town and was built in the 6th century. Sitting in the middle of the Vallo di Diano, Atena Lucana is one of the oldest villages in the province. It was completely destroyed by the Saracens in the 9th century but was subsequently reinstated. 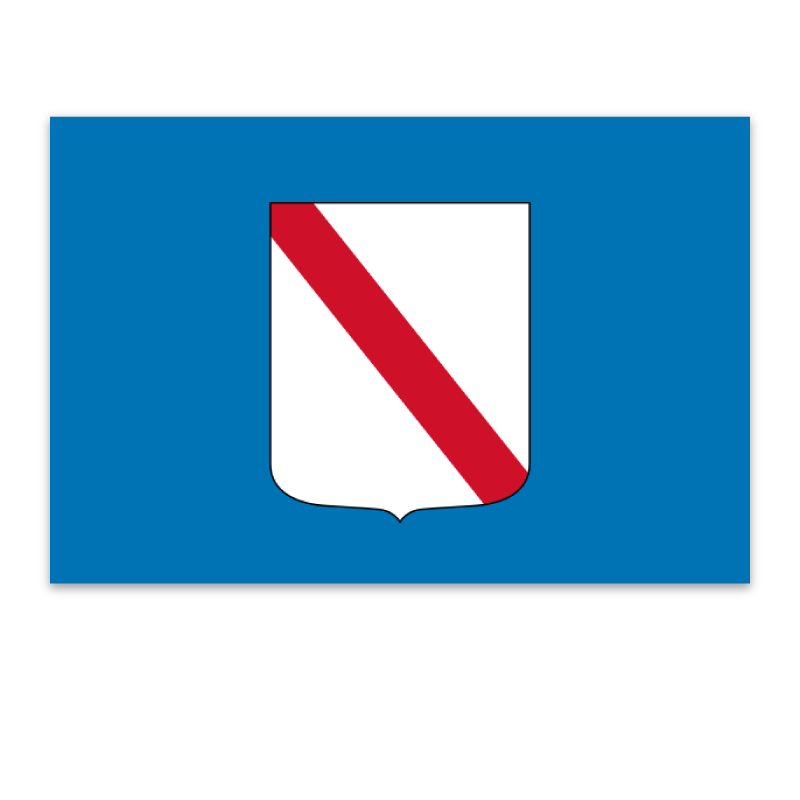 The population is relatively low due to the fact then much of the people emigrated to North and South America during the 19th century. It is still possible to see parts of the 4th century BC Megalithic walls and there is also a castle and an archeological area. Two of the prettiest churches in the village are the 9th century Church of St. Nicholas and the Church of Santa Maria Maggiore. 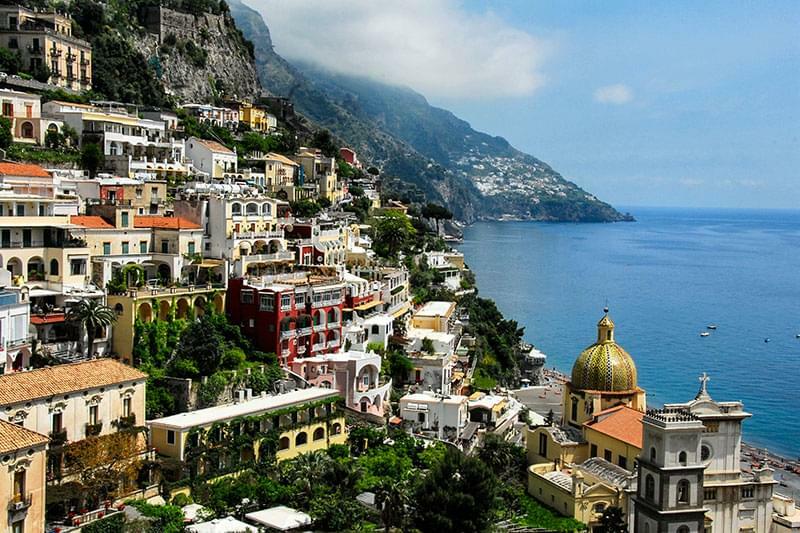 This pretty, seaside town is on the Amalfi Coast and lays claim to being the smallest town in southern Italy. The town has a complex system of alleys, narrow streets and steps all leading to squares, historic buildings, parks and views to the coast. The main square leads down directly to the beach and all the original houses were built facing the coast. 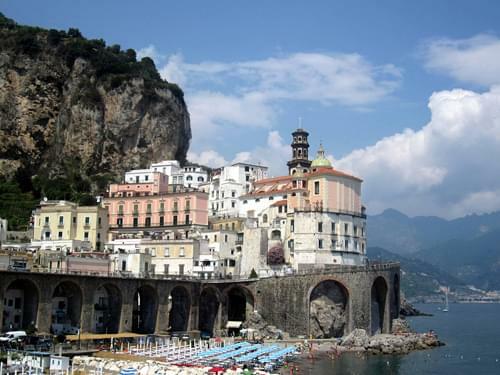 Atrani has maintained all of its original traditions and the town is much unchanged which has made it a popular location for filming commercials. The Torre dello Ziro is a fortress on top of Mount Aureo which overlooks both Atrani and Amalfi. There are some ruins of castle lying right next to the fortress. The Church of the Immaculate Conception has a Roman cinerary urn embedded in the wall used as a water reservoir. The Collegiate Church of St. Mary Magdalene Penitent was built in 1247 and has a bell tower topped with 'tuff' which is a brown rock made from volcanic ash. The Church of San Michele Arcangelo was built between the 11th and 12th centuries. It is located just outside the town walls and can be reached by a flight of stairs. The Church of Our Lady of Mount Carmel was built in 1601 with a Moorish style bell tower. The Church of San Salvatore de'Birecto was built in the 10th century. Nestled on top of hill in the centre of the beautiful Cileno Natural Park the village of Castel San Lorenzo is famous for its locally made Castel San Lorenzo DOC wine. The red and rose wine is made from Barbera and Sangiovese grapes and the white wine is made from Trebbiano and Malvasia grapes. 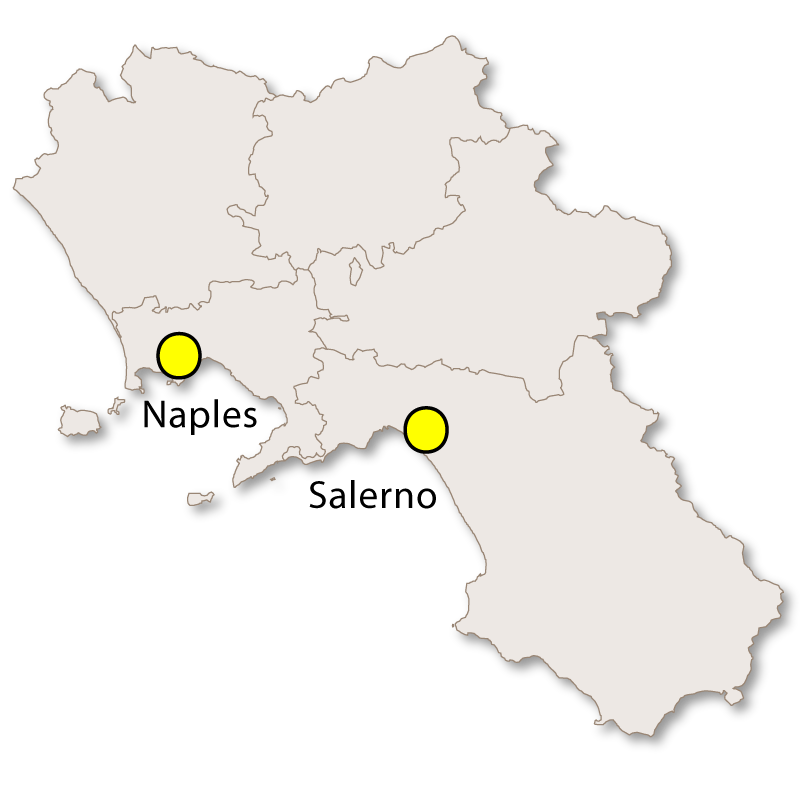 A rich and fertile agricultural centre which is known for its olive oil and diary products, in particular the production of excellent buffalo mozzarella. There is an 11th century Colonna castle where a few remains of the 4th century BC walls can still be seen. The town became well known in the 20th century when Carlo Levi wrote his famous book 'Christ stopped at Eboli'. This small village hosts the annual Giffoni Film Festival which is the largest international children's film festival in the world. Built into the hills rising from the Amalfi coast, Positano is a unique town which had become and extremely popular tourist attraction. It is a series of very steep, narrow streets and steps with houses clinging to every surface of the hillside and it is only possible to get around it on foot. It is stunningly beautiful and has been used in several films including 'Under the Tuscan Sun', 'Only You' and Kath and Kimderella. It also hosts the annual 'Cartoons on the Bay Festival' where awards for the best animation are given. 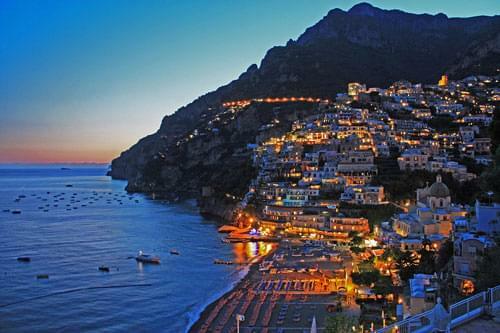 This is a small town on the Amalfi coast which has been a popular holiday and tourist destination since Roman times. It boasts the longest, unbroken stretch of sancy beach on the Amalfi coast. A town on the Amalfi coast where there is are some very well preserved ruins of a Roman villa which are now open for public viewing. The Basilica di Santa Trofimena is dedicated to Santa Trofimena, a young Sicilian martyr. Legend states that her body was placed into an urn which was thrown into the sea from Sicily and eventually washed up on the shores of Minori. The Roman Maritime Archeological Villa is believed to have been built in the first century BC. The Saint Nicola Convent dates back to the late 11th century. 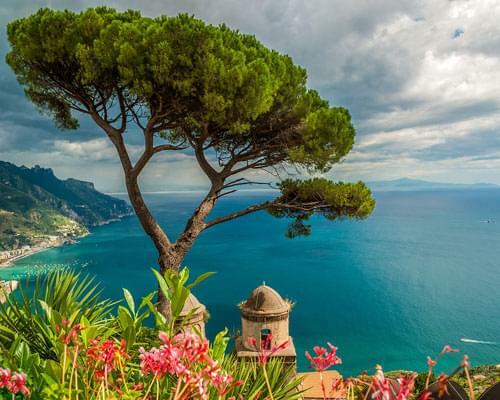 Nestled high above the Amalfi coast Ravello is a popular tourist destination due to its breathtaking panoramic views. If it is possible to drag yourself away from the coastal scenery the town is pleasant and has several points of interest. The Cathedral of Ravello was built in 1272. Villa Rufolo was built in 1270 by Nicola Rufola and now sees millions of tourists every year crowding on its terrace to see the view. Villa Cimbrone which is famous for its 'Terrace of the Infinite'. The 14th century Sanctuary of Saints Cosmas and Damian. Two spectacular gardens, Villa Cimbrone and Villa Rufolo. 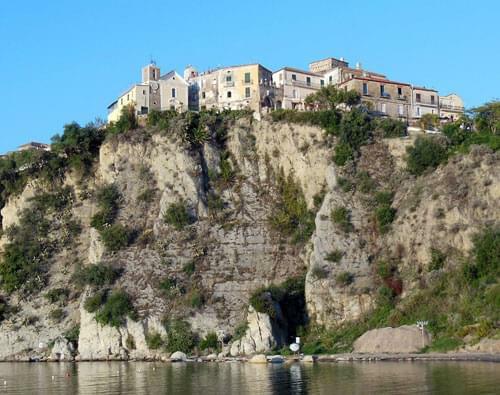 Once an ancient fishing port the pretty village of Scario is on the Cilento coast and is well worth a visit. The fishing harbour has recently been enlarged and now welcomes yachts and other pleasure craft although part of it remains a fishing port. It has an exceptionally mild climate and the entire harbour is lined with bars, restaurants and unique shops. At one end is an unusual church with a tall, slim bell tower.